KoolAir PM500-230 Magnetic Drive Pump is most commonly used for marine air conditioning and fountains. Run Dry Protection! 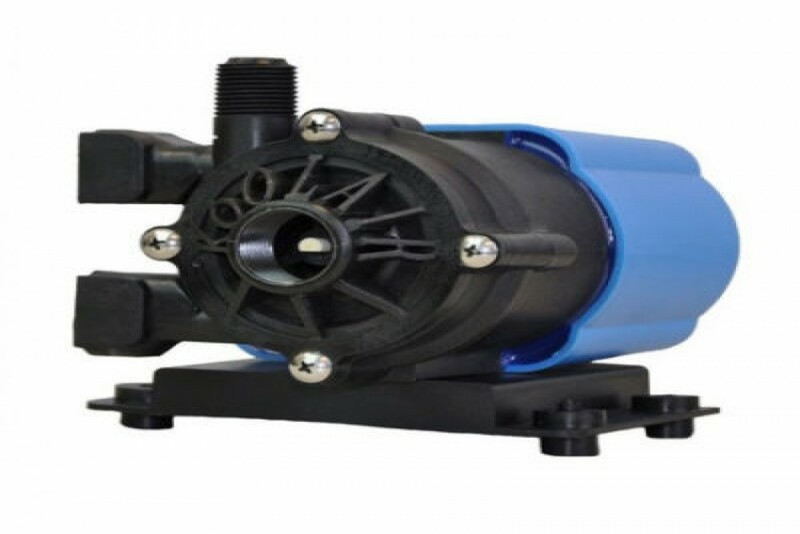 Replaces March LC-3CP-MD Pump 230V, 3/4" FPT Inlet, 1/2" MPT Outlet, 60 Hz, 230V, 1 Phase, 1/20 HP, 3450 RPM, 8.6 GPM Max Flow, 19 Feet Max Head, 25 PSI Max Internal Pressure. The Koolair PM500-115 & PM500-230 are completely submersible seal-less centrifugal magnetic pump drive (10 lbs.) generating a maximum flow of 8.5 gallons per minute with a maximum head of 19 feet at 8.2 PSI. The inlet connection is a ¾” female pipe thread and the outlet is ½” male pipe thread. Maximum internal pressure is 25 PSI and the maximum liquid temperature is 130 Fahrenheit or 54 Celsius.